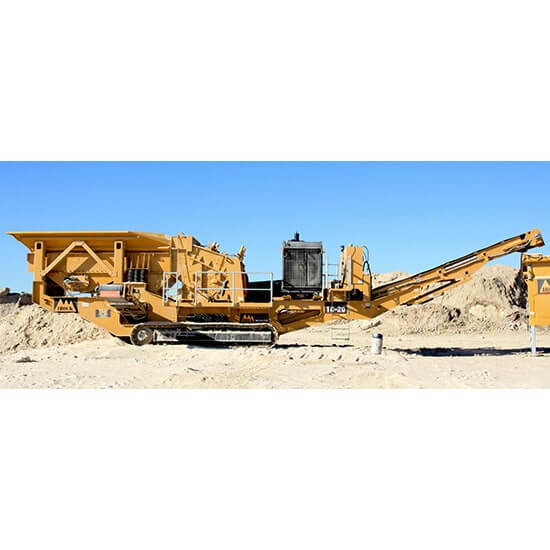 The 15-cubic-yard fixed Hardox® hopper is paired with a 52-inch by 16-foot vibrating grizzly feeder with a larger crusher inlet for increase production rates. 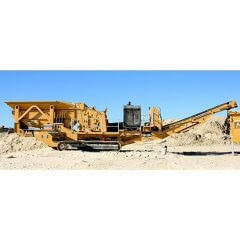 With the longest feeder among tracked crushers, the TC-20 allows operators to feed material with a large wheel loader while the 48-inch-wide discharge conveyor can stockpile up to a maximum height of 10 feet, 11 inches. Operators can hydraulically lower or raise the conveyor to feed stockpiling conveyors and make maintenance easier. The standard "rock box" reduces wear on the discharge point by forming crushed material into a natural rock shelf to serve as a liner. A standard wireless remote control offers standard full plant functions and two-speed tracking for easy maneuverability around a job site or onto a trailer.